I have a eBay auction going on witch ends on September 23rd. I have seven UMD movies for the European PSP (region 2), the movies will not work on PSP from the US or Japan, region 2 only. 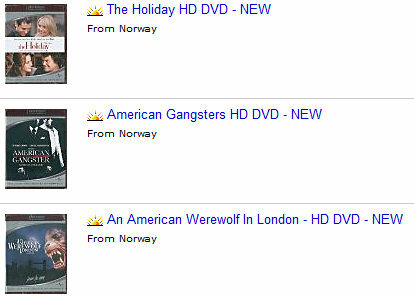 The movies for sale are: Blade – Trinity, Blade 2, Austin Powers 2 – The Spy Who Shagged Me, Austin Powers 3: Goldmember, Daredevil, Cursed and Chain Reaction. It’s FREE SHIPPING to Europe. [Update] The auction has ened. 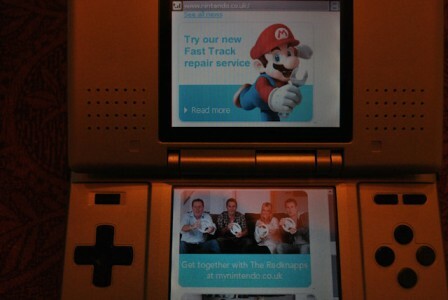 I’m selling my Nintendo DS Browser (Opera) for the Nintendo DS on eBay.co.uk. 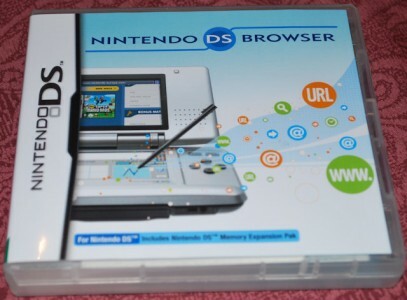 The browser will work on both the original grey phat DS and DS Lite. 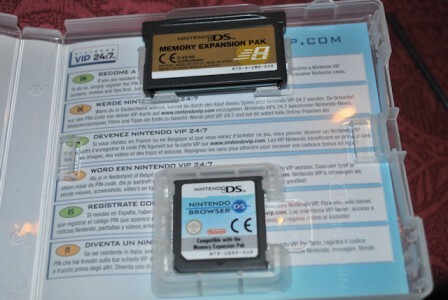 But on the DS Lite, the memory expansion pak will stick 1 cm out of the console. I will ship worldwide. So how does it work? On the touchscreen you have a menubar at the bottom. Here you can select to enter a URL to go to a webpage. If you use that webpage a lot, bookmark it. 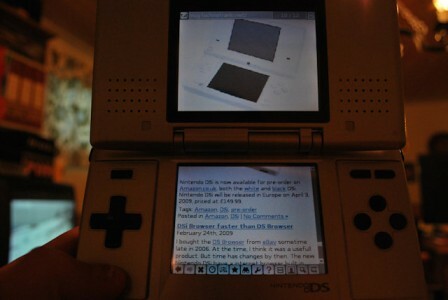 The page can be viewed in two different ways. The first is Overview Mode. Her you have the page fit into the touchscreen and a zoombox. What’s inside the zoombox is showed on the topscreen. The second mode is SRR Mode. The page is formated to fit both screens, and I think this is the best mode. The keyboard to type in text works very well and you are also able to usehabdwritting recognition. I haven’t used it much, since I’m very good at using the keyboard. The browser does not support Flash, video, audio or PDF, but that doesn’t have to be a problem. So is it worth buying? I will say yes if you need to have internet access all the time.